Harley was recently acquired by Precious Life Animal Sanctuary from a woman in Oregon who had kept the two year-old, 180 lb. Saint Bernard in a 10x12 pen with no shelter for his entire life. He didn't even have a basic dog dish, but was fed on the ground. He escaped from the pen once, and chased and downed a neighbor's goat. He was pulled off and it could not be determined if he would have killed it. This incident sealed his fate. 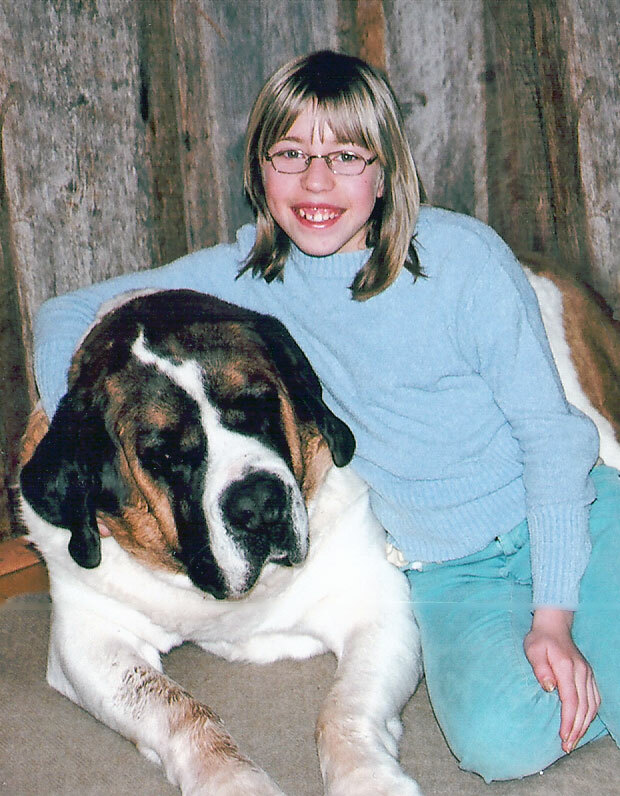 Two purebred Saint Bernard rescue organizations in Oregon wouldn't accept him, and the Southwest Humane Society had no kennel big enough to house him. Several months passed with Harley trapped in his pen, and the Humane Society couldn't place him. Some felt the best decision would be to euthanize him rather than subject him to more neglect. We were contacted as a last resort and fell in love with his picture. We couldn't stand to see this beautiful animal confined to a life of misery and neglect. We drove to pick him up, and even though his living conditions were deplorable, he was heartbroken to leave the only life he had ever known. We adopted him and he has quickly adapted to life with six Great Pyrenees companions and assorted farm animals, rabbits, and feral cats. However, Harley took a mis-step on the grass shortly after he arrived and tore his cruciate ligament. He had a very expensive TPLO surgery and is recovering nicely. Your donations help us to continue to care for our animals in this manner.